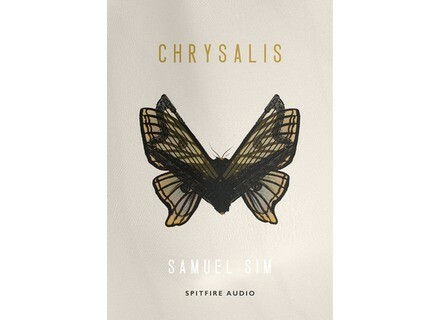 Samuel Sim - Chrysalis, Other Virtual Intrument from Spitfire Audio. 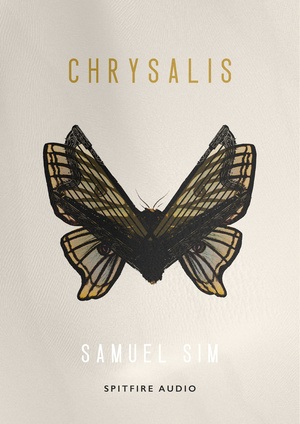 Spitfire Audio have released their last two new libraries of 2015, Samuel Sim's Chrysalis and Sacconi Strings Volume 1. To end the year in the best manner, Spitfire Audio has released the Samuel Sim Chrysalis and Sacconi Strings Volume 1 libraries for the full version of Kontakt. Designed by award-winning film & TV composer Samuel Sim, the Chrysalis library is centered around harp sounds but (as the name suggests) the natural string sounds are also deeply transformed so as to evolve into unique sounds, involving not only impossible playing techniques but also barely recognizable harp sounds passed through a bunch of effects. From the sound demos, it seems indeed that the result takes more from experimental cinematic sounds than the usual classical ambiance you'd expect from a sampled harp library. Featuring a 7230 samples for a total 30.5GB uncompressed WAV, Chrysalis is currently available at the introductory price of £99 until January 4th, 2016 at midnight GMT, when it will go full price at £129. Recorded with the Sacconi String Quartet, Spitfire's new Sacconi Strings series gets inaugurated with this first volume. Entirely dedicated to the first violin and recorded by the quartet's own Ben Hancox at London's famous Wigmore Hall, this library recorded in 6 different microphone perspectives offers several articulations for a total 17,512 samples and 40GB of uncompressed WAV. Other volumes from the quartet are, of course, to follow. Sacconi Strings - Volume 1 is available at the introductory price of £75 until January 4th, 2016 at midnight GMT, after which its price will rise to £99. More details at Spitfire Audio's website. Kuassa's amps go standalone Kuassa has released a preset converter as well as standalone versions of its Cerberus Bass, Vermilion and Creme virtual amps. $130 off SPL Transient Designer plugin This Monday's Plugin Alliance Xmas Calendar door has revealed the SPL Transient Designer at $69, 65% off its usual list price. 20% off JST Clip today only JST currently holds a series of special one-day sales, with today's offers concerning the Clip peak clipper at 20% off.